Nearly 140,000 people are diagnosed with colorectal cancer in America. Rectal bleeding is the most obvious colon cancer symptom, but other signs may be far more subtle. If you notice any of the following signs, talk to your doctor. A diagnosis of anemia may be the first sign that you’re bleeding internally, even if you haven’t seen any other colon cancer symptoms. “If a woman is menstruating, anemia is less likely to be followed up with additional tests to see if it could be something else, like colon cancer,” says Randall Holcombe, MD, chief medical officer, cancer, at Mount Sinai Health System in New York City. “If a man is anemic, you assume he’s bleeding from somewhere.” It’s not uncommon for people to bleed internally for up to six months before anything shows up in the stool, says Patricia Raymond, MD, a fellow at the American College of Gastroenterology. If you experience any signs of anemia, such as fatigue, skin pallor or dizziness, see a doctor; it could be a sign of colon cancer. Pay attention to what’s in the toilet, even if you don’t see blood. If your stool consistently takes on a very narrow or skinny shape when it was previously chunkier, that could point to a restriction in the colon caused by polyps, says Dr. Raymond. 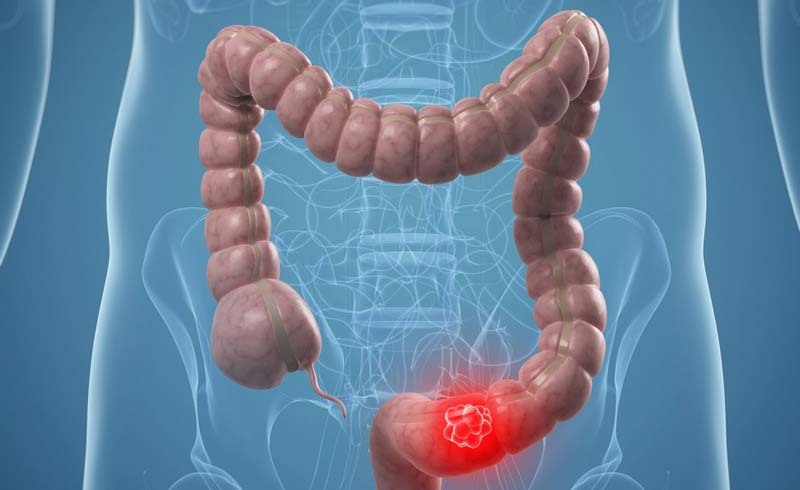 Persistent diarrhea may also be one of the symptoms of colon cancer.